MUFF WIGGLER :: View topic - cat5 cable for wiring? The cat5 cable i can get from my electronics shop is solid core copper wire. I know from plumbing it was always a big no-no to have any other types of metal touching the copper pipe because of the reaction that occurs causing corrosion. Would the same rule apply for using copper to wire pots/jacks ? The wire normally used to connect pots and jacks is copper wire that is plated or "tinned" so that it won't corrode over time. Bare copper wire tends to corrode over time and break. The plating varies from solder (tin/lead) to pure tin or sometimes silver. Solid core wire is only good if the wires won't flex. It can be used to go from boards to panel parts if the board and panel are fixed together and won't flex, but it's usually better to use stranded wire to front panels so the wires can be moved around a bit if needed. CAT5 wire is also typically quite thin wire. Usually the hookup wire used for panels is a bit thicker. Ask the local electronics shop about spools of stranded "hookup wire". The most common is 22 gauge stranded and tinned. CAT5 is typically 24 gauge solid and bare copper. no, soldering your connections (which is what most of us do) prevents this type of galvanic corrosion. It keeps out moisture and oxygen. Use copper, unless you can get silver wire. I heard it sounds better. Make sure you use "audio grade" power and sine waves with the best harmonics. Seriously, if you're on a budget then go for it. The only thing I'd warn against solid core wire would be if the wire is going to get flexed repeatedly.. since copper work hardens, eventually it will fracture. So do your wiring and bundling carefully. That is why they make stranded wire, it can take flexing much better than solid wire. The best DIY solution IMHO is a few differet color rolls of 24 ga stranded. And solder. Kester 331 water-clean for PCB's and 245 no-clean for wiring. Thanks for the clarification guys! The only reason cat5 was appealing is because it's bundled for a neat wiring job and there is 8 wires. Is there any bundled /color coded/ stranded wiring you guys would suggest? Looking for something with at least 8 wires. 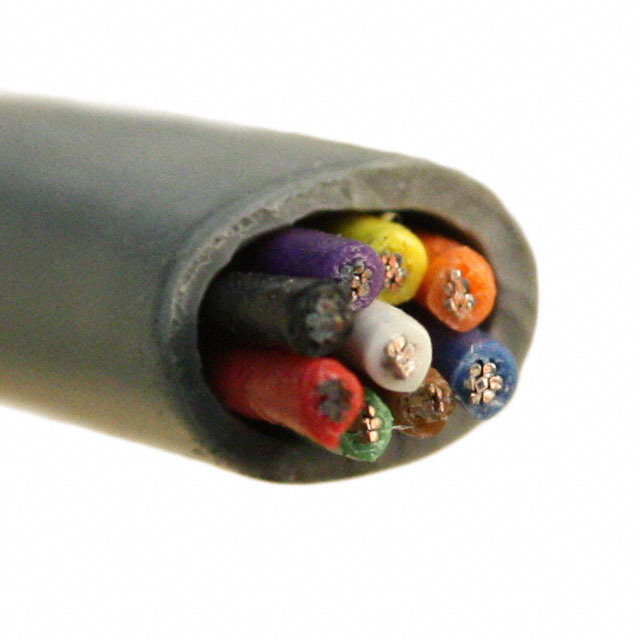 Choices in multi-conductor stranded wire varies a lot with where you buy your stuff. It's certainly made, but not all local electronics stores would carry it. The one near here does. They have 2, 3, 4, 5, 7, and 9 conductor cable available by the foot. But that's fairly unusual these days. By mail order you would probably need to buy in multiples of 100 feet. Thanks Daverj, I went in my store today and had another look around and found multi-conductor stranded wire sold by the foot. Thanks again, and just to put it out there if anyone is interested in buying some and doesn't need 100 feet i would be happy to pick some up for you.